Last Updated: Sept 10, 2007 Added link to Evansville depot. Current Status: Demolished - 1970s (?). 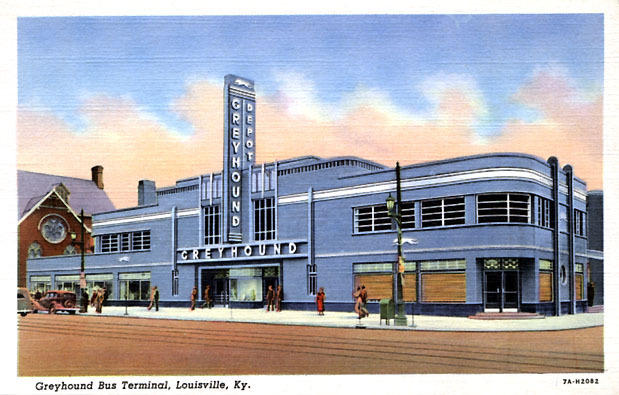 The blue enamel-clad Greyhound Bus Terminal in Louisville was built in 1935 and demolished in the 1970s (?). 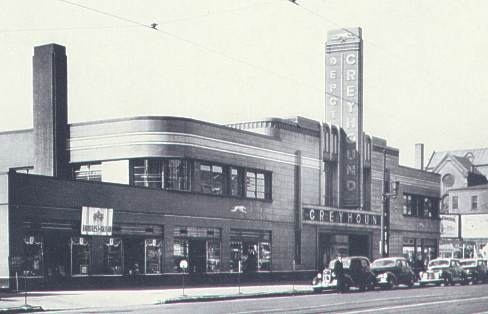 It was located at 434 W. Broadway (corner of 5th), and was W.S. 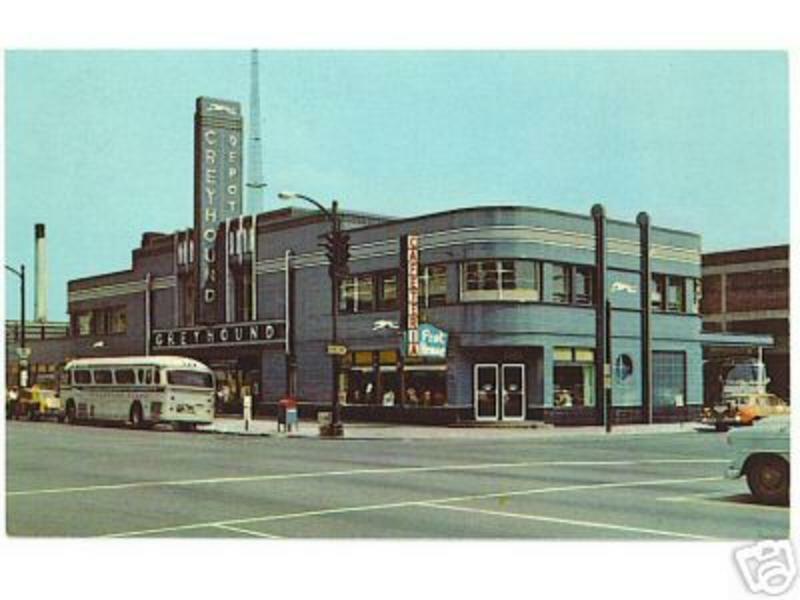 Arrasmith's first Greyhound terminal. 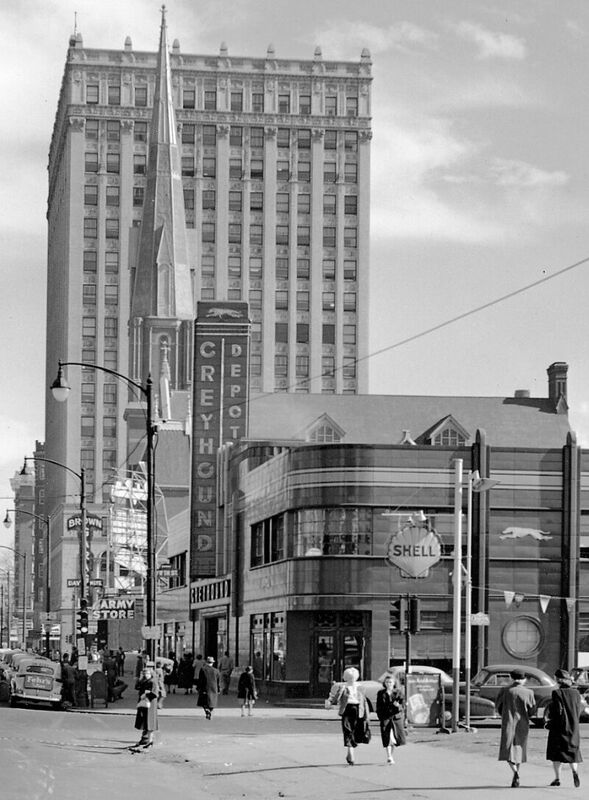 A certain irony is found in the story of Louisville's old Greyhound Terminal. 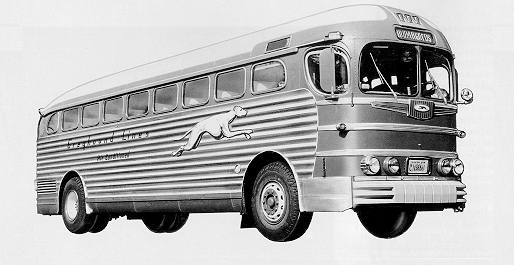 During the late 30s and through the 40's, Greyhound had dozens of terminal buildings constructed all over the United States. The larger city versions were all designed by William ("W.S.") Arrasmith who worked for a firm in Louisville, KY (Wischmeyer, Arrasmith & Elswick). The designs were all different but they each had distinctive streamline moderne styling. The irony? The few cities that have surviving examples have restored them and value them as an architectural treasure. While here in Louisville, home of the designer, home of the first of his terminals..... no one saw value enough to save the very one in Arrasmith's own home town! I've included some great links below the thumbnail photos for additional sites and a couple of books about the Arrasmith-designed terminals.